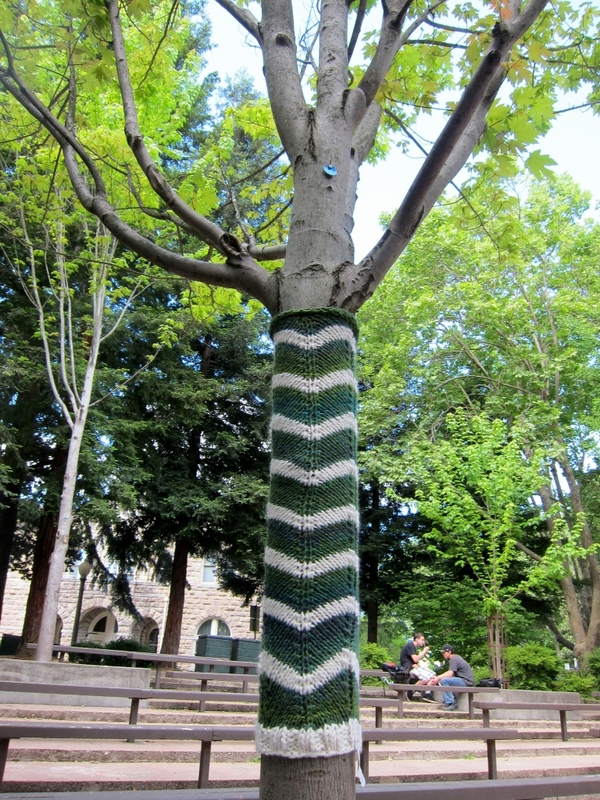 I put up my first Sonoma yarn bomb today. 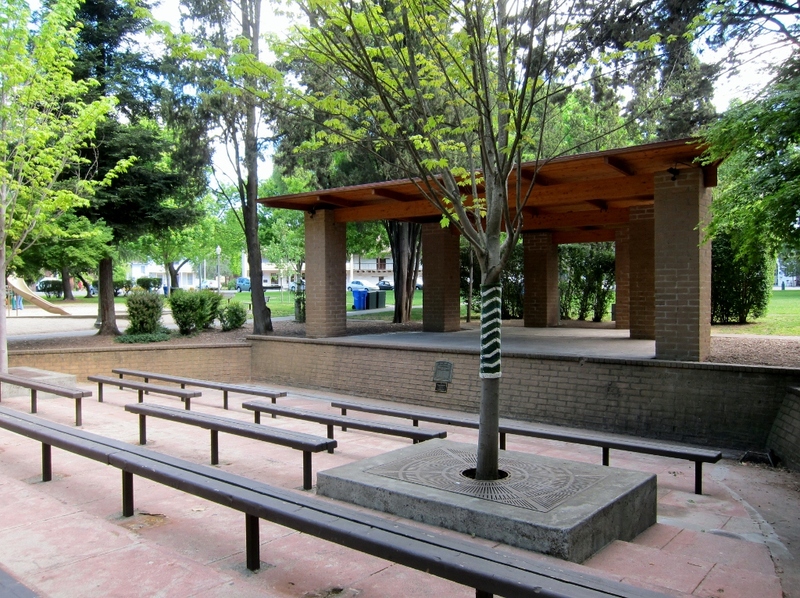 I’d intended this piece to go on a lamp post near my friend Tillie’s yarn shop, but it turned out too narrow, so I went to the Square and wandered until I found a tree of the correct circumference. 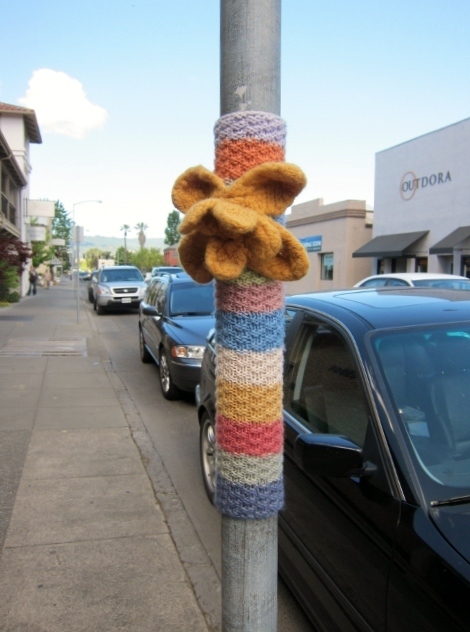 I saw two other yarn bombs near the square – makers unknown….. 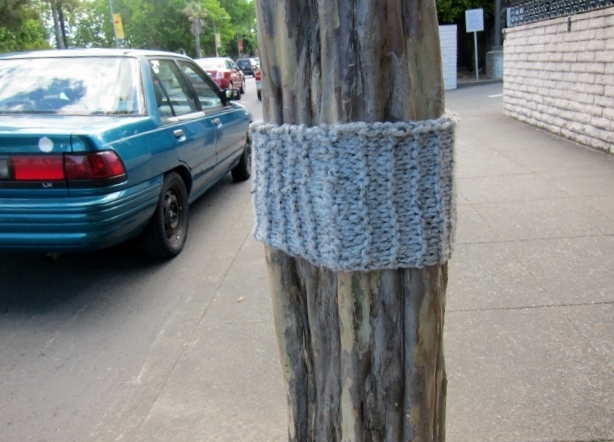 Does anyone know who to credit for this yarn bomb?